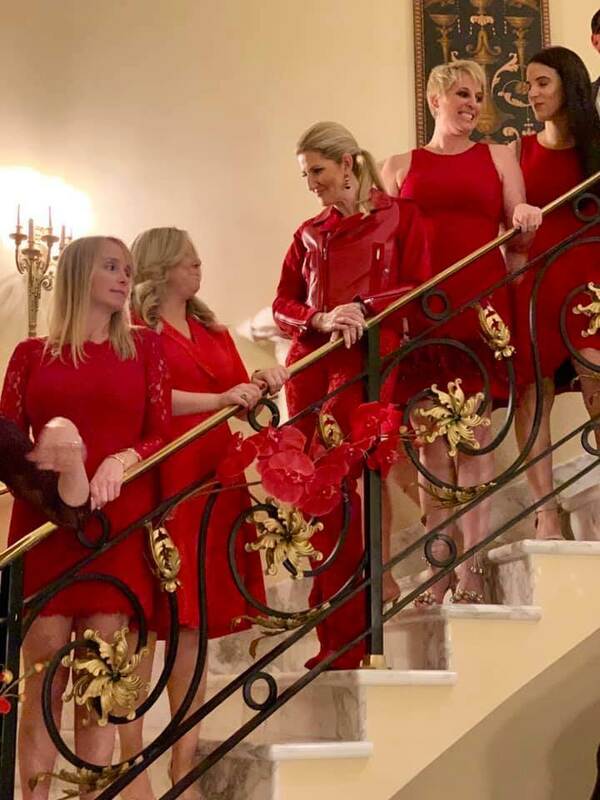 As Marile, our kids and I prepare for this Saturday’s 37th Annual Red Cross Ball, we pause to reflect with you on the importance of supporting the South Florida American Red Cross. As board members of the South Florida Red Cross, we have witnessed first-hand how we have positively impacted the 8 million Floridians, we serve across 13 Florida counties. Most recently, the Red Cross served over 2 million meals and 270,200 relief items for victims of hurricane Michael — the strongest storm to hit the US in 5O years. In 2015, as Chairs of the 33rd Annual Red Cross Ball we also witnessed the outpouring of support from Miami’s generous donors in supporting disaster prevention and aid. 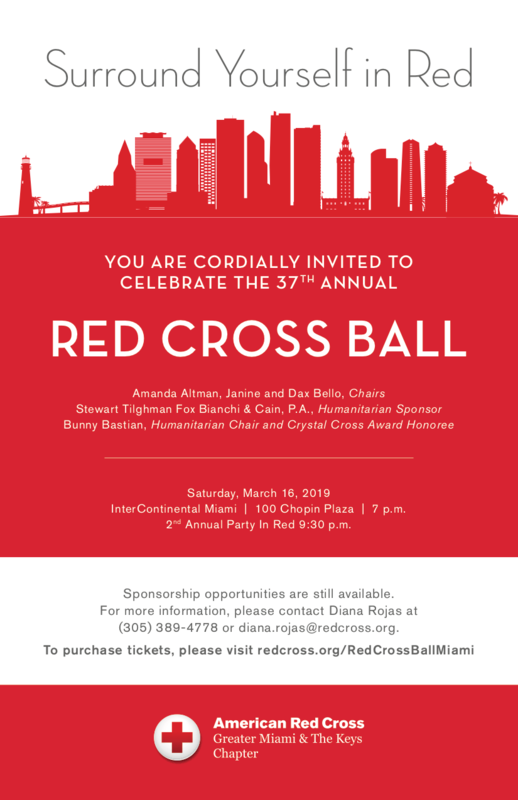 Today, as we pause to reflect on Scripture, we ask you to please join us in supporting the Red Cross at our annual Ball this Saturday, March 16 at the InterContinental Miami. The festivities will kick-off at 7pm, followed by the second annual Party in Red at 9:30pm. Buy your tickets now and, together, we can help ease the burden of our neighbors and fellow Americans.